Smog Check Information, Questions and Answers. 1)Registration Renewal: Every two years on most vehicles you are required to get a smog check to renew your registration with D.M.V. *Gasoline vehicles newer than 6 years old, hybrids, motorcycles, gasoline vehicles 1975 or older, and diesel vehicles 1997 and older are exempt from this requirement. 2) Change of Ownership: Most vehicles need a smog check when they are bought or sold. It is the seller's responsibility to have the vehicle inspected within 90 days of the transaction. If the vehicle is not registered within 90 days of being smogged it will need to be inspected again. *Gasoline vehicles newer than 4 years old, hybrids, motorcycles, gasoline vehicles 1975 or older, and diesel vehicles 1997 and older are exempt from this requirement. Also, transfer of title between certain family members does not require a smog check. 3) Bringing in a car from out of state: Most cars coming from out of state seeking registration in California need to be smogged. Hybrids, motorcycles, gasoline vehicles 1975 or older, and diesel vehicles 1997 and older are exempt from this requirement. Q. When a car is sold, who is responsible for the smog check inspection? Q. My renewal notice doesn't specify that I need to go to a STAR Certified smog check station. Can you still smog it? A. Yes. We can perform a smog test on your car whether or not it has been directed to a STAR Certified smog check station. Q. Can you send my smog check results to the DMV if I don't have my renewal form with me? Q. Will my car pass the smog check with the check engine light on? Q. Will my car pass with an aftermarket air intake or other modifications? STAR Stations are smog check stations that meet higher performance standards established by the Bureau of Automotive Repair. Some STAR Stations are licensed to perform test only inspections, while others are licensed to perform smog checks and smog check repairs. Please visit the STAR Station Information Page of our website for more information. We are your Official STAR Certified Smog Check Station in Van Nuys, Los Angeles California. Smog Check Pros is California's leading STAR Smog Check and Test Only Station in Los Angeles, California. We are friendly, local and fairly priced. Our courteous and friendly techs will smog your vehicle in about 15 minutes. Smog Check Coupons up to 25% off available at Smog Check Pros in Van Nuys, Greater Los Angeles, CA. We are an Official STAR Certified California Smog Check Station. At Smog Check Pros we offer our customers honesty, efficiency and a clean facility located in the heart of Van Nuys for your convenience. While waiting, customers have the opportunity to surf the web with our free Wi-Fi, or stroll to nearby shops on Sherman Way and Sepulveda to have lunch/dinner, coffee, or go shopping. 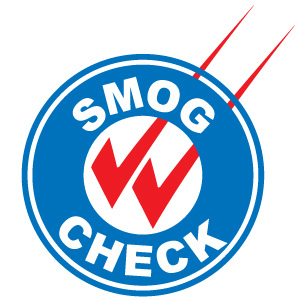 Smog Check Pros uses the latest, most accurate equipment to test your vehicle. We can certify for all tests required by the DMV, STAR Smog Check, Regular Smog Check Inspection, Gross Polluters, out of state registrations, and renewals. Established in 2001, we are California's leading STAR Smog Check Station in Los Angeles, California. Serving Van Nuys, North Hollywood, Sherman Oaks, Studio City, Valley Village, Encino, North HIlls, Panorama City, Reseda, Tarzana, Canoga Park, Chatsworth, and Mission Hills. We offer excellent customer service, a clean vacility, and competitive prices. Come and see for yourself, why Smog Check Pros is the #1 Smog Check Station in Los Angeles.